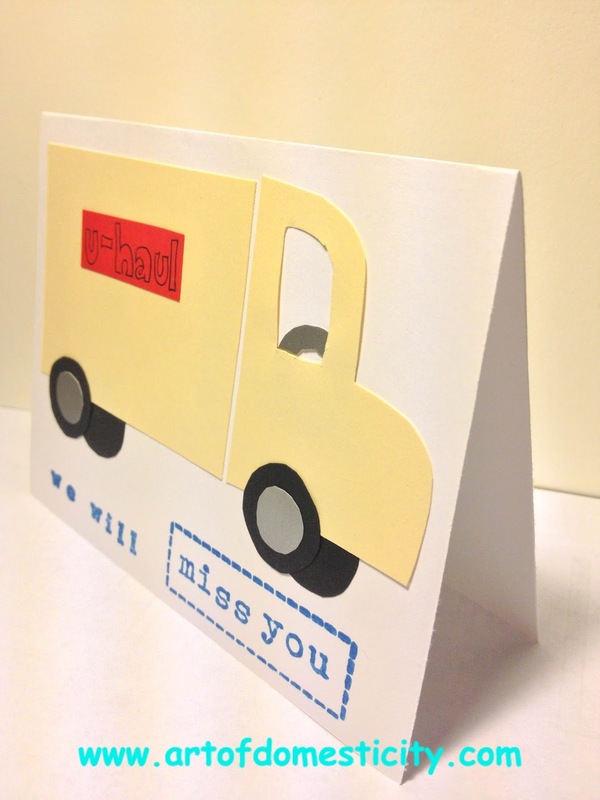 Being in a military family, we are quite accustomed to saying goodbye. 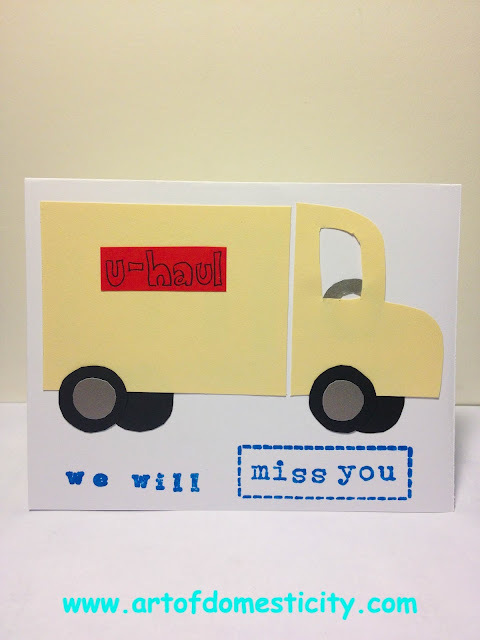 It happens all year long...goodbye as we move to a new location; goodbye when others move away; goodbye to our families that we don't get the privilege of living near; goodbye to a spouse who deploys. Really, saying goodbye is the one constant we can count on. Not that it makes it any easier. This is one area where practice definitely does NOT make perfect. Regardless of how difficult it inevitably is, people move away. As a simple gesture showing them how much we love them, I decided to make a card for some friends of ours that were moving away. It wasn't much, but I think it represented that we care and will really miss them. 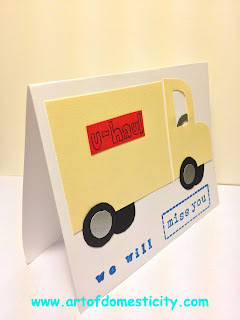 U-haul truck with stamps "We Will Miss you". 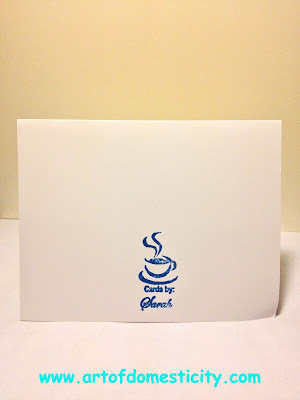 My stamped personal card logo on the back.